The statistics deal with changes within reported crimes rather than actual crime rates, something of which is difficult to measure in its entirety. Recent crime statistics have revealed that robbery, extortion and hijacking have considerably risen over a single year. The highest increase of reported crimes occurred within the offence category of robbery, extortion and hijacking, increasing by almost 23 per cent according to the Central Statistics Office’s annual Recorded Crime Statistics. The statistics were released on December 20th, 2018 and examined the increases and decreases in crime within several offence groups, with such crimes ranging from homicide offences to damage of property and the environment. The second highest increase in reported crimes occurred within sexual offences which increased by 11.7 per cent from 2017 to 2018. In early 2018, a number of deficiencies within the Gardai’s system of reporting crimes came under the limelight, particularly concerning the gross overestimation of alcohol breath tests and the classification of homicides. Such deficiencies in the reporting of crimes mean that a true picture of crime rates in Ireland cannot be achieved. Olive Loughanne, Statistician with the CSO stated that concerns exist regarding “the quality of the underlying data”. “We have heavily publicised crime prevention advice through our ‘Lock up and Light Up’ campaign,” he continued. According to Molloy, these developments have seen residential burglaries reduced by 34 per cent and non-residential burglaries reduced by 23 per cent since November 2015. 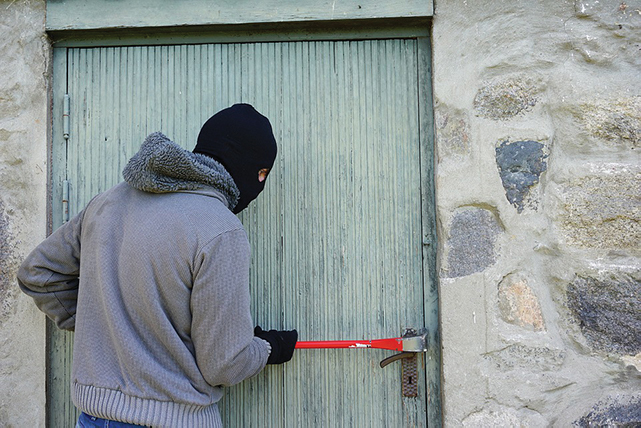 The CSO statistics also noted a decline in burglaries and related offences by 6.4 per cent in 2018. Noted decreases concerning burglaries and damage to property and the environment, which reduced by 7.4 per cent, are indicative of economic growth in Irish society. During the Celtic Tiger era, crimes tended to focus on fraud, deception and related offences rather than property crimes such as burglaries. The increase in fraud, deception and related offences by 8.8 per cent in 2018 are reminiscent of “boom” time crime statistics. According to Molloy, the focus of ongoing Gardai patrolling and checkpoints aim to deal with criminal gangs and repeat offenders, rather than other criminal offences that are on the rise. “It is vital that people report crimes,” said Molloy.